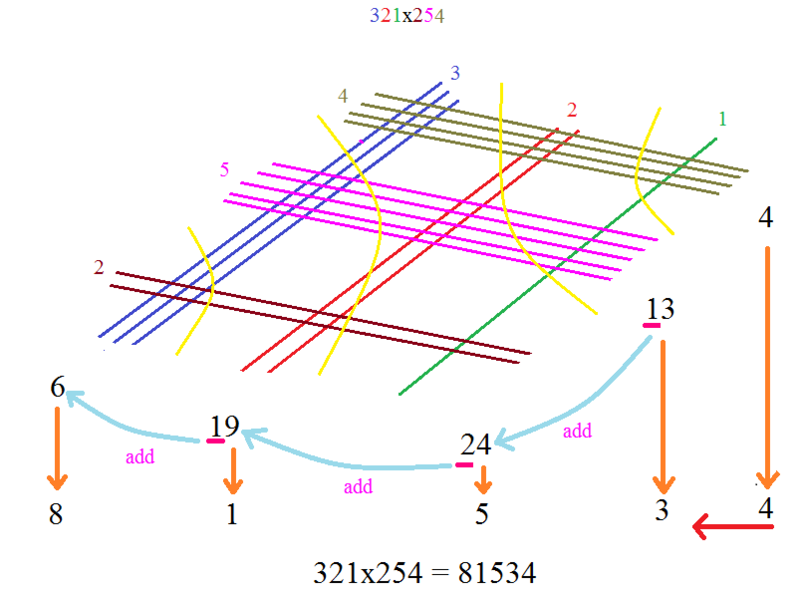 There is a geometric technique to perform multiplication of numbers. Used in Japanese schools to teach kids about multiplication. I would love it if somebody could shed some light on the origins of this technique. Not the answer you're looking for? Browse other questions tagged geometry education math-history or ask your own question. Is there something similar for division as this Japanese multiplication method? where does the term “integral domain” come from? Where does the 'divides' sign come from? Where does the symbol for a partial deriviate come from? where did the term $\omega$-limit set originate from? Where does the term “affine space” come from? What is a space? Where does the word come from? Where did the angle convention originate? Where does $\in$ come from and where is it defined?